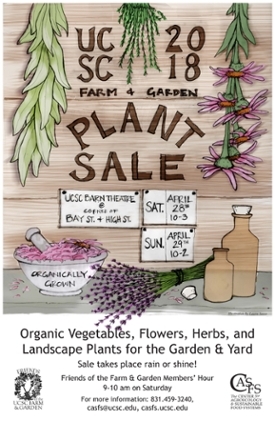 You can find a full list of plants available at this year’s sale on the CASFS Events website. casfs.ucsc.edu/news-events/events/index.html. Look for the Plant Sale listing. If you'd like to join the Friends of the Farm & Garden or renew your membership prior to the sale, click hereto access the secure online membership form.